Can't wait for it to be translated into English. 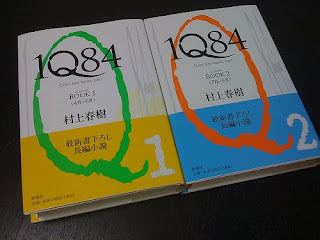 As Haruki Murakami's die-hard fan, I pledge to start saving now. After all, two hard-covers of 1,000 something pages does sounds expensive. No publisher review has leaked yet beside this tiny bit of info that the book is about 'two characters, a man and a woman, who are searching for each other'.